After over 12 months of production and marketing of improved quality planting materials in the value chains of soy bean, maize, cassava, plantain and banana, IITA Youth Agripreneurs (IYA) have embarked on yet another very “wise” process of improving the quality of the planting materials, improving production efficiency and encouraging large scale production called “MECHANIZED AGRICULTURE”. IYA is planning to introduce into their system the effective use of Tractors, Trucks, Combine harvesters, Planters and many more. This, they believe will not only improve the total efficiency and productivity of the group but will do well in encouraging the youth “out there” into Agriculture which is the major goal (to reorient youth toward more productive engagement in agriculture) of the Agripreneurs. 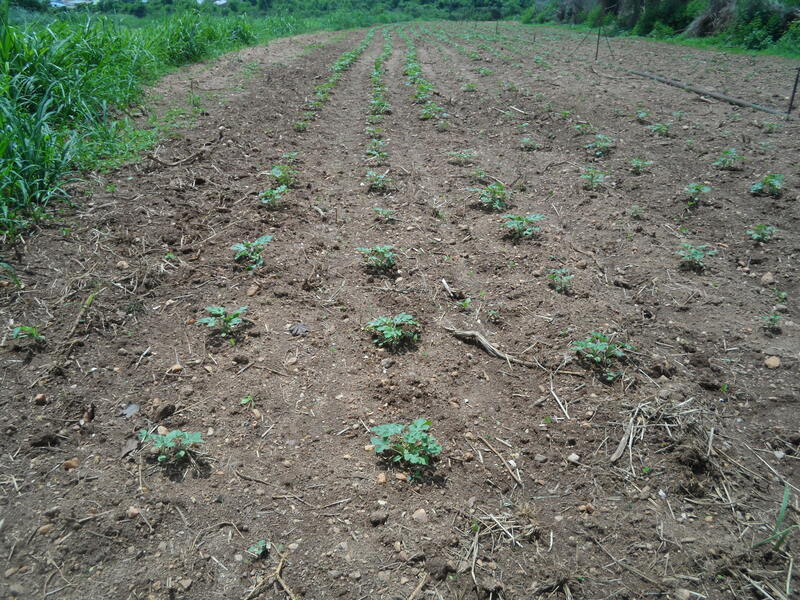 IYA have targeted land extensification – projecting the hectarage of land to be cultivated to over 150ha in 2014, exploiting new production areas – including the value chains of fisheries and vegetables and many more. However, the use of machines they know can effectively actualize the former. Yes we Can, est l’expression engagement prise les Jeunes Congolais pour la promotion de l’Agro-Industrie en République Démocratique du Congo Afin de promouvoir l’emploi des jeunes. En effet,IITA vient de lance’ le programme Jeunesse et l’Agro-Industrie en République Démocratique du Congo. la date du Samedi, 5 avril 2014 resterait une journée spéciale dans le cœur des membres de l’IITA-Kalambo jeunesse Agripreneurs (IKYA) pendant une longue période comme ils se mettent en vedette parmi la population de Bukavu, Province du Sud-Kivu, R.D. Congo, par le biais de leur inauguration lancement Conférence inaugural et cérémonie. La Conférence était en présence de plus de 350 personnes parmi lesquelles représentaient para étatiques, ONG, universitaires et étudiants, sympathisants et autres invités de marque. Le thème de la Conférence était: « Création d’emplois pour jeunes à travers Agribusiness ». Parmi les dignitaires a son excellence, le gouverneur de la Province du Sud-Kivu, gouverneur Marcelin Chishambo qui a prononcé le discours d’ouverture où il a exprimé sa joie à l’initiative en RD Congo et indiqué sa croyance dans le fait que l’agriculture jeunes peuvent devenir des employeurs de main-d’œuvre, plutôt que de rester demandeurs d’emploi. Le PAIDEK – Promotion et Appui aux Initiatives de Développement Économique du Kivu (Promotion et soutien à des Initiatives de développement économique dans le Kivu) officiel, M. Ramazani Musongo et spécialiste de manioc de SC de l’IITA-SARD, Dr Marie Yomeni étaient également présents pour donner le soutien par l’entremise de leurs présentations sur « comment les institutions financières peuvent prendre en charge des jeunes Agripreneurs”et « jeunes dans l’Agriculture par l’agro-industrie » respectivement. IITA jeunesse Agripreneurs (AMA), étant l’archétype de la jeunesse dans l’initiative de l’agro-industrie, avait délégués-Ajibola Olaniyi et Bekee Barituka de Ibadan (Nigéria) présents à l’occasion de donner également un encouragement et appui à l’équipe IKYA. Enfin, la Conférence a été conclue par une présentation de IKYA objectifs, cibles et sorties, mais aussi une projection de plans pour l’avenir du groupe, dont l’expansion et la diversification par l’IITA-Kalmbo jeunes agripreneur, Gracia Kahasa. 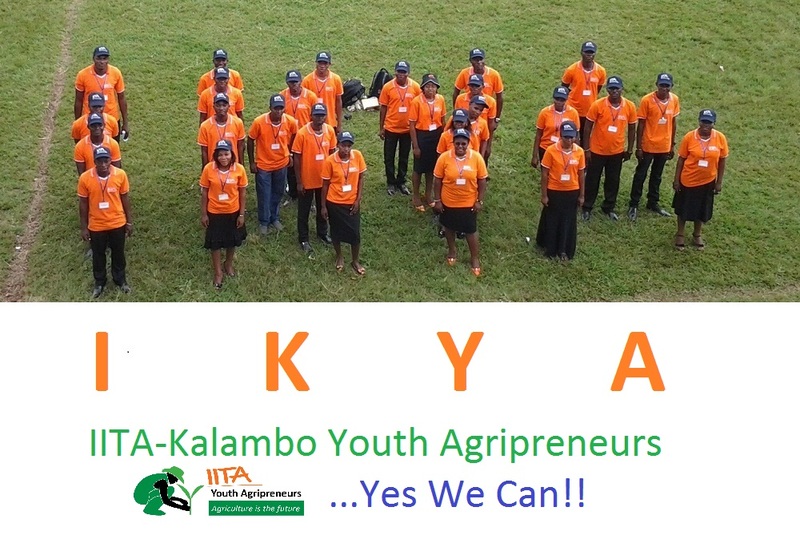 Saturday, 5th of April, 2014 would remain a special day in the hearts of members of the IITA-Kalambo Youth Agripreneurs (IKYA) for a long time as they put themselves in limelight amongst the people of Bukavu, South-Kivu Province, D.R. Congo through their groundbreaking launching ceremony and maiden conference. The conference had in attendance over 350 people amongst whom were representatives from government parastatals, NGOs, University staff and students, well-wishers and other invited guests. The theme for the conference was: “Creating Jobs for Youth through Agribusiness”. Among the dignitaries was His Excellency, the Governor of South-Kivu Province, Gov. Marcelin Chishambo who gave the opening speech where he expressed his delight at the initiative in D.R. Congo and indicated his belief in the fact that through agriculture, youths can become employers of labour, rather than remain job-seekers. 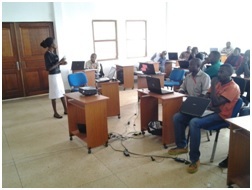 PAIDEK – Promotion et Appui aux Initiatives de Développement Économique du Kivu (i.e. Promotion and Support for Economic Development Initiatives in Kivu) official, Mr. Ramazani Musongo and IITA-SARD SC cassava specialist, Dr. Marie Yomeni were also present to give support through their presentations on “How financial institutions can support young Agripreneurs” and “Bringing young people into Agriculture through Agribusiness” respectively. IITA Youth Agripreneurs (IYA), being the archetype of the youth in agribusiness initiative, had delegates- Ajibola Olaniyi and Bekee Barituka from Ibadan, Nigeria present at the occasion to also give encouragement and support to the IKYA team. Finally, the conference was concluded by a presentation of IKYA’s objectives, targets and outputs, as well as a projection of the group’s future plans- including expansion and diversification by an IITA-Kalmbo youth agripreneur, Gracia Kahasa. According to Webster’s dictionary, teamwork means a joint action by a group of people in which each person subordinates his or her individual interests and opinions to the unity and efficiency of the group. •	Having unified commitment and having principled leadership. In her presentation, she mapped out the stages of the group’s growth which started from the inception of the group till now. She later highlighted benefits of IYA’s teamwork which include EASY PROBLEM SOLVING, HEALTHY COMPETITION, FASTER ACCOMPLISHMENT OF TASKS and RELATIONSHIP DEVELOPMENT. She also quoted Webster’s dictionary for Communication, as the act or process of using words, sounds, signs or behaviours to express or exchange information or to express your ideas, thoughts or feelings etc to someone else. In order for business communication to be effective, all the people involved must have good communication skills, “she added”. Effective communication occurs when the receiver of information interprets a message the way the sender intended. Effective communication is “one of the most important functions of any form of management” and it is important in increasing productivity, improving satisfaction, and being recognized as a strong predictor of promotability. Communicating effectively is a requisite to success in contemporary business life. Evelyn added that since effective communication is key to success in agribusiness, the ability to write well and speak well become important for Youth Agripreneurs. 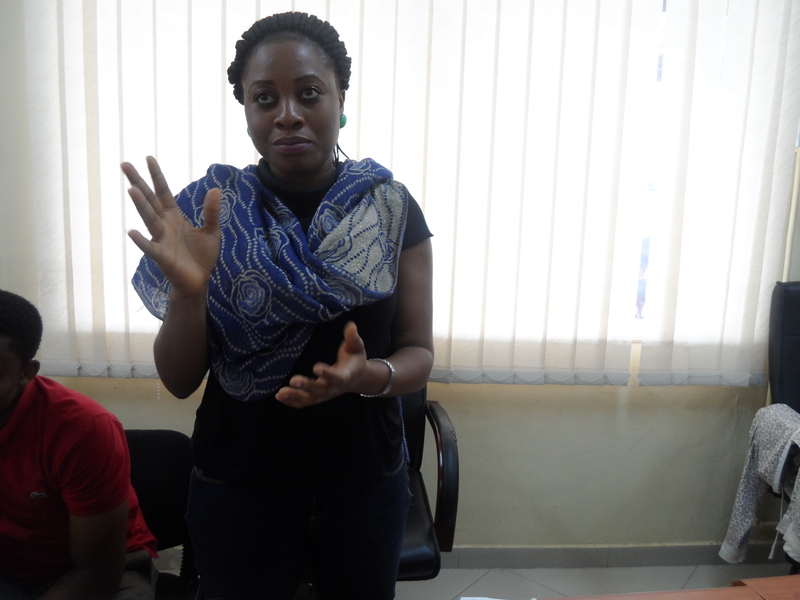 The IITA Youth Agripreneurs (IYA) representatives – Mrs. OlaniyiAjibola and Mr. BekeeBarituka – departed the IITA Head-quarters on Thursday, 27th march 2014 accompanied by Dr. Marie Yomeni for Lagos. 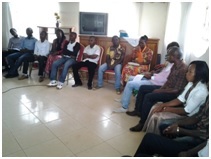 The journey to Bukavu continued on the 28th of March with a stop-over at Kigali. On Saturday, 29th the duo arrived at their destination, being received by some executives of the IITA-KalamboYouth Agripreneurs (IKYA). There was lunch with the D.G. 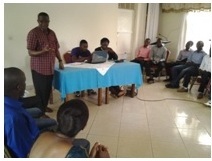 Dr. Sanginga, and a tour of the environs and the Lake Kivu, organized by the youths. Vegetable is an edible plant or its part, intended for cooking or eating raw. Vegetables may be raw or cooked; fresh, frozen, canned, or dried/dehydrated; and may be whole, cut-up, or mashed. Vegetables are most often consumed as salads or cooked in savoury or salty dishes, while culinary fruits are usually sweet and used for desserts. In everyday, grocery-store, culinary language, the words “fruit” and “vegetable” are mutually exclusive; plant products that are called fruit are hardly ever classified as vegetables, and vice-versa. The word “fruit” has a precise botanical meaning (a part that developed from the ovary of a flowering plant), which is considerably different from its culinary meaning, and includes many poisonous fruits. While peaches, plums, and oranges are “fruit” in both senses, many items commonly called “vegetables” — such as eggplants, bell peppers, and tomatoes — are botanically fruits, while the cereals (grains) are both a fruit and a vegetable, as well as some spices like black pepper and chili peppers. Some vegetables can be consumed raw, while some must be cooked to destroy certain natural toxins or microbes in order to be edible. A number of processed food items available on the market contain vegetable ingredients and can be referred to as “vegetable derived” products. These products may or may not maintain the nutritional integrity of the vegetable used to produce them. Vegetables are eaten in a variety of ways, as part of main meals and as snacks. The nutritional content of vegetables varies considerably, though generally they contain little protein or fat and varying proportions of vitamins such as Vitamin A, Vitamin K and Vitamin B6, provitamins, dietary minerals and carbohydrates. Vegetables contain a great variety of other phytochemicals, some of which have been claimed to have antioxidant, antibacterial, antifungal, antiviral and anticarcinogenic properties. Most vegetables also contain fibre, important for gastrointestinal function. Vegetables contain important nutrients necessary for healthy hair and skin as well. 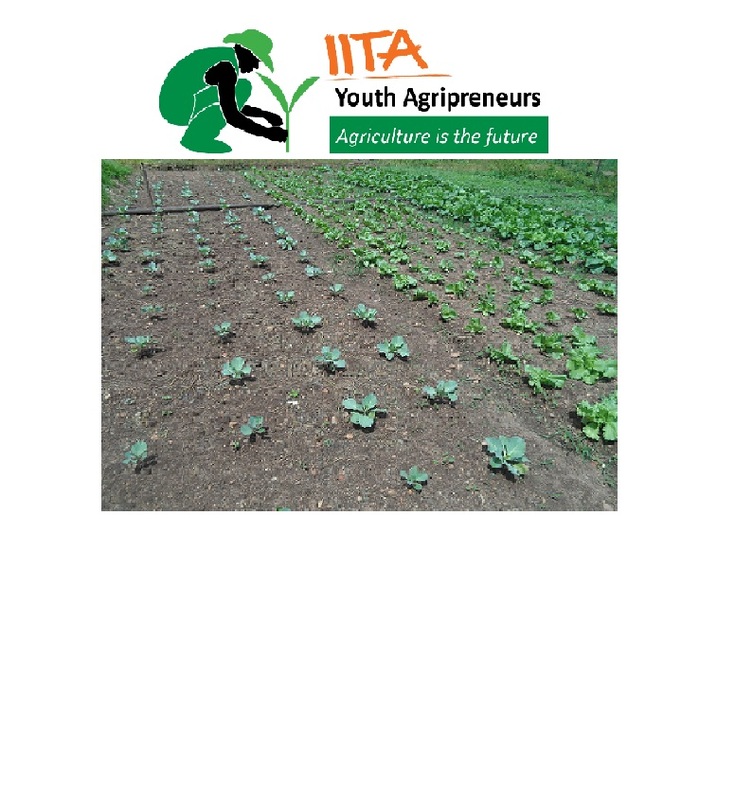 Thus, IITA Youth Agripreneurs (IYA), in a continued effort to exploit more Agricultural opportunities, have just commenced production and marketing of some vegetables. This, we believe will not only increase the capacity of youths but also address the problem of essential nutrient deficiencies. Listed below are the vegetable crops produced by IITA Youth Agripreneurs (IYA).